Square Enix has partnered with Game of War: Fire Age developer Machine Zone to produce a Final Fantasy XV MMO for mobile devices (via Polygon). As you would expect of a spinoff title, the Final Fantasy XV MMO will feature characters and story elements from the core console game due out at the end of November. There will be quests to complete, as well as PVE- and PVP-centric content so players can engage in different ways. Square Enix's and Machine Zone's FFXV MMORPG won't be of the scale and complexity of the console game. In a press release, a Square representative explained that the title "will follow the successful MZ [Machine Zone] MMO titles Game of War: Fire Age and Mobile Strike," implying gameplay systems and experiences in line with those products. No release date for the mobile MMO has been announced. 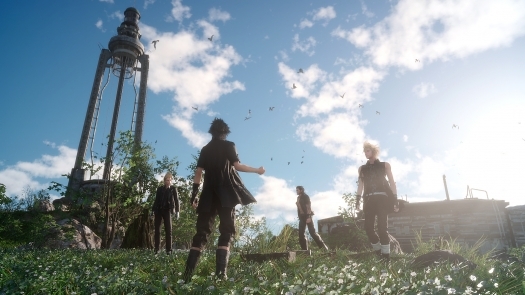 Final Fantasy XV aunches for Xbox One and PS4 on November 29.